appreciate this and admit that it was by all means, money well spent! All the best in your future endeavor and I hope our paths cross again one day. Thank you so much for fixing my teeth today! It fees so good to smile with confidence again! This means the world to me and saying thank you doesn’t seem to be enough! Your kindness, gentlesness and professional craftsmanship are a gift to your patients and if you don’t hear that everyday it’s a shame. You are simply the best dentist there is, and I will be telling anyone and everyone. 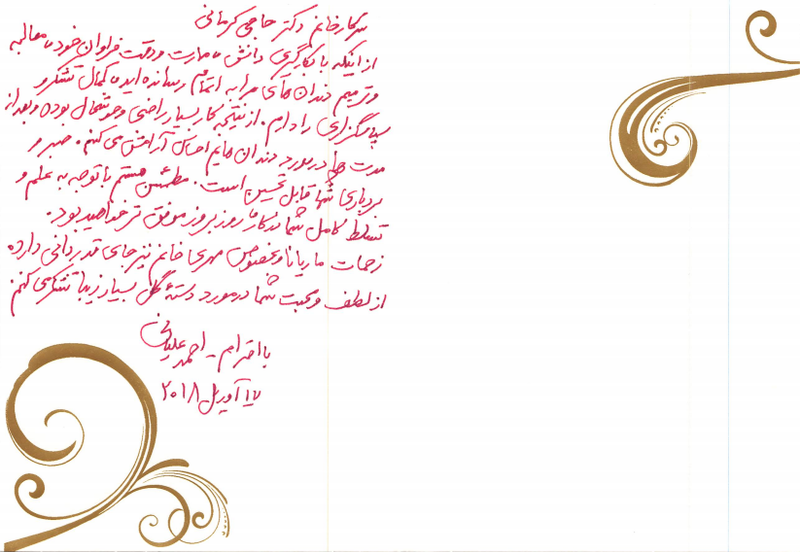 I am a Kermani Fan forever! God bless you!! Thank you for allowing me to be your patient! If I can help you in anyway call me anytime!